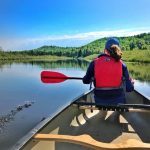 Gliding along the water in a canoe or kayak is an ideal way to de-stress and connect with the natural world around you. 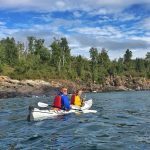 Our guided Wilderness Canoeing on the Poplar River and our Lake Superior Kayaking Trips are the perfect way to experience the magic of paddling. Our experienced guides will provide you with all the equipment and instruction needed for a memorable and safe trip on the water. 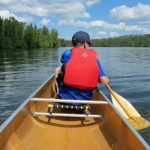 Wilderness Canoeing: Our Wilderness Canoeing Experience on the Poplar River has become a guest and staff favorite. 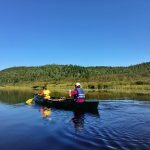 Along with your guide, we will shuttle you to the Poplar River in Lutsen, hike about a quarter of a mile to the canoes, and paddle two miles along the beautiful Poplar River. No past canoe experience is needed and children as young as five can participate. The trip is leisurely, scenic, and within the whole family’s capabilities. 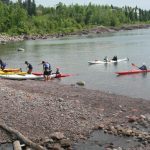 Kayaking: Lake Superior offers one of the most incredible sea kayaking experiences available between the two coasts. 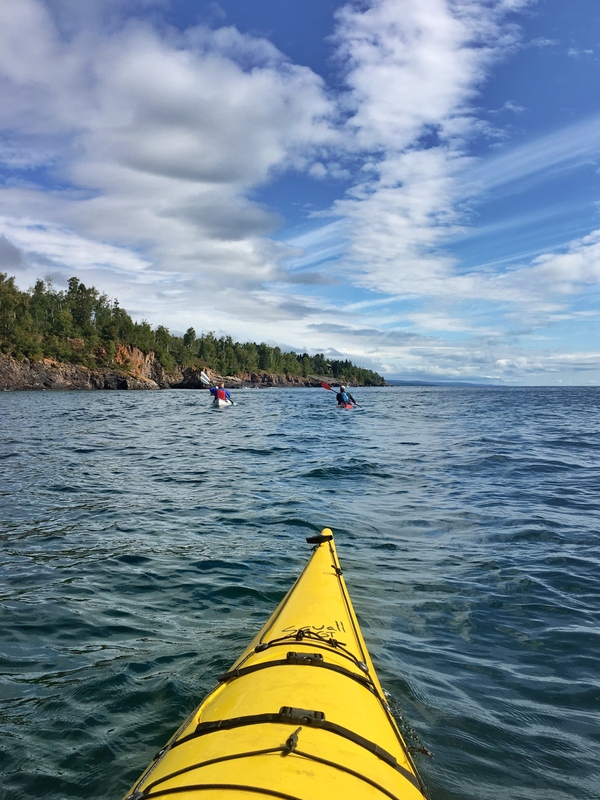 Paddle along the scenic shoreline of Lake Superior with one of our expert kayak guides. You will see a sea cave and multiple waterfalls, not to mention the wildlife! Lake Superior could be calm like glass or have choppy waves, we will go regardless, (as long as we deem the conditions safe) in order to provide guests with a full Lake Superior experience. Our expert and certified guides will provide you with full instruction and equipment you need. Kayakers of all skill levels age 12 and up are welcome. 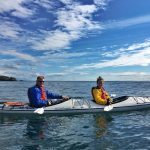 Plan your canoe and kayak trips and explore all resort activities on the Resort Activities & Events page. Wow! 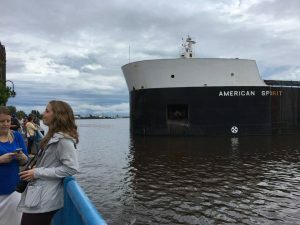 An early summer storm on Lake Superior this past weekend has Gooseberry Falls raging with the river spilling over its boundary, a huge ship pulled off course in Duluth, and roads washed out from flash flooding in Bayfield, Wisconsin, and the Upper Peninsula, Michigan. This past weekend’s storm was far from epic, but if you were in Duluth for Grandma’s Marathon or visiting the North Shore, you likely experienced some heavy rains, serious wind and flash flooding. And while the storm may not have been intense enough to make the record books, it did not pass without notice or drama. 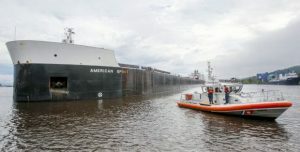 In Duluth, strong currents and heavy rains brought the American Spirit, a 1,004 foot fully loaded freighter/ship, way too close to Duluth’s break wall and the Paulucci Building! You can see some of the dramatic coverage recorded live on a tourist’s Facebook feed (credit Angela Lowder). Or, check out these links below, including a time lapse video of the ship drifting quickly off course. If you were hiking in the Two Harbors area, perhaps you saw the raging Gooseberry Falls with the river spilling, spewing and spitting over its boundary. 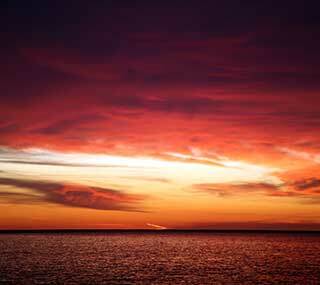 View live video from a tourist here (credit Lauri E. Olspon-Hohman). In Bayfield and Ashland, WI, several roadways were washed out, including parts of Highway 2. Storms washed out roads in Houghton and Hancock in the Upper Peninsula. 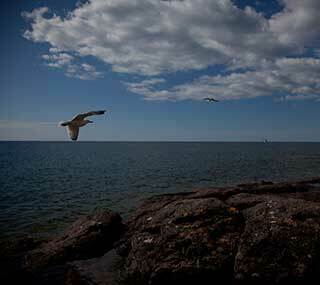 Learn more about this Lake Superior storm by visiting Lake Superior Magazine’s Facebook News Feed here. Or, click on the links below to see some of the news coverage of impact outside of the North Shore. 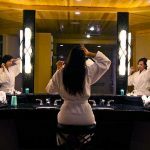 Resort guests receive a spa discount! Many Bluefin Bay Family of Resorts guests have yet to experience one of our greatest amenities and resort assets — Waves of Superior Spa. 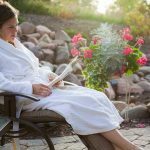 Waves of Superior Spa at Surfside offers relaxation and pampering unlike other resorts, and our in-house resort guests at Bluefin Bay, Surfside and Temperance Landing receive a 5% discount on all spa services. 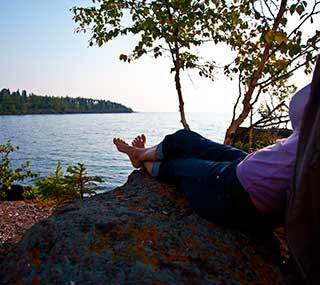 Waves of Superior Spa takes its cue from the greatest of lakes. Clean and pure. Powerful and peaceful. 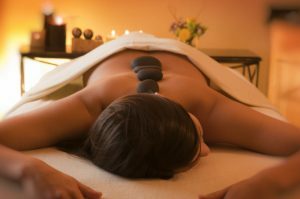 Inspired by our natural surroundings, treatments are designed to relax the mind, relieve the body and rejuvenate the spirit. So when the pace and stress of life sap you of your vitality, come let us restore you. 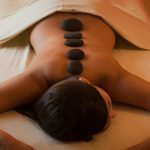 Massage Therapies – including our signature Superior Massage, Deep Tissue, Couples Massage and our Surfside Hot Stone Massage. Hand & Foot Therapies – Spa Manicure, Pedicure and Fresh Manicure – consider adding the paraffin hands and feet treatment to soothe and hydrate. Our coastal contemporary spa facility has private treatment suites — including a suite for couples to receive a massage side by side; well-appointed men’s and women’s locker rooms featuring a sauna and private showers; and an indoor and outdoor relaxation area. 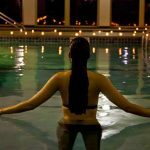 Waves of Superior Spa guests are also invited to enjoy our indoor heated pool and hot tub, sauna and fitness overlooking Lake Superior. This month we’re highlighting our Hand & Foot Therapies. Who doesn’t want a perfectly cute manicure and/or pedicure for summer?! 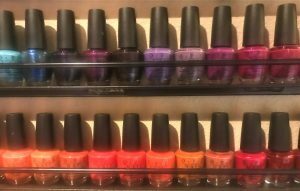 Our new nail technician, Melita Thul, is ready to help you choose the high-end polish of your choice and then help you relax and unwind, as well as sport cute feet and hands. 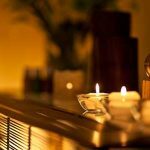 Whether you’re new to the spa experience or a seasoned veteran, at Waves of Superior Spa we make it easy and comfortable for you to relax and renew with us. The spa is open daily from 9 a.m. to 6 p.m. and reservations are encouraged in advance. Learn more and make your online reservation here. Or, call our spa reservationist for more information at 218-663-6888. 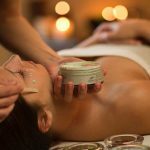 Check out our photo gallery from Waves of Superior Spa at Surfside on Lake Superior, part of the Bluefin Bay Family of Resorts. 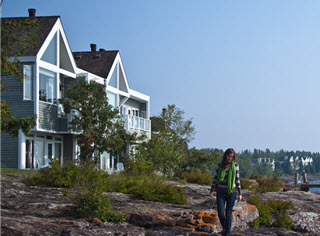 Stay and Play: Great Golf by the Greatest Lake! June is here and it’s time to play some golf! Located just seven miles from Superior National Golf Course, Bluefin Bay is the perfect place to stay on your golf getaway. This course provides unparalleled play combined with the beauty of being tucked into the Sawtooth Mountain Range, surrounded by the Superior National Forest, and overlooking Lake Superior. 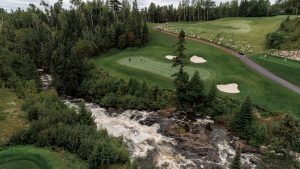 Superior National has undergone an impressive renovation and will be offering 27 holes of golf in early June. They currently have an 18-hole rotation combining a nice mix of the Mountain, River and Canyon courses. Enjoy great savings and amazing views when you stay at the Bluefin Bay Family of Resorts and hit the links at Superior National Golf Course. Guests of Bluefin Bay, Surfside, and Temperance Landing receive discounted lodging and green fees with our Stay & Play Golf Package. To receive the package discount you MUST book tee times at least three days in advance. The PGA Professionals at Superior National also provide lessons for individuals, groups, and junior players. In addition, they offer club rental and a pro shop for all your golfing needs.